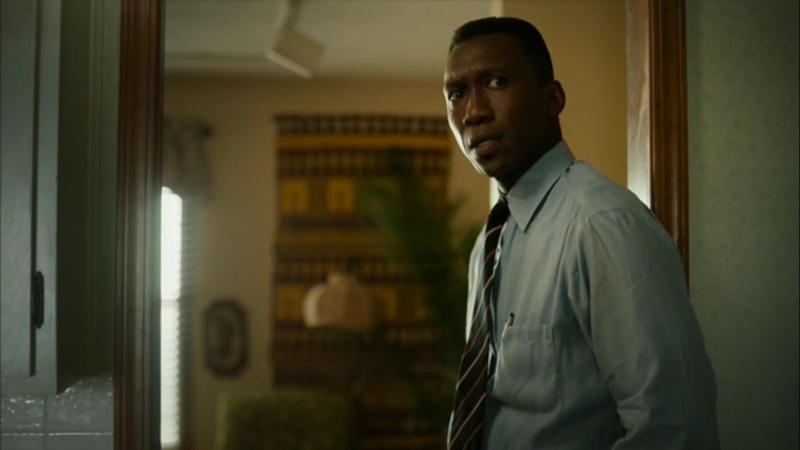 A Look at True Detective- Season 3, Episode 6: “Hunters in the Dark” | What Else is on Now? The episode begins in 1980 as we join Amelia and Wayne post-coitus. Wayne tells her that she doesn’t have to see if he’s judging her because he isn’t. She’s glad that he wasn’t hurt after the Bret Woodard incident, and it’s the first time that he’s fired his weapon on the job. But Amelia notes that he must’ve fired his weapon during the war. She wants to know about Wayne’s past, but honestly, he never gave it a thought. One thing he’s learned from war is that life ends now and later is now. It’s never behind you. He doesn’t spend time remembering stuff. Amelia sees that as a superpower, but Wayne is just lucky in that regard. With that, he lights up a cigarette and eyes himself in the mirror. In 1990, we revisit Wayne, Roland, and the detectives listening to the voice recording from Julie. Gerald Kindt believes this is worthy of an indictment. According to the file, Tom didn’t have an alibi the night of, with Kindt now believing that Wayne and Roland didn’t question Tom hard enough. However, Freddy Burns saw Will alone and Tom, at the time, was still working on his car. Even still, his alibi is falling apart. Still, Wayne and Roland will look into it. Roland doesn’t believe that they could be wrong. They consider giving the case to others, but Roland knows that Tom would be eaten alive. So they go to Tom, who maintains his innocence. The two want him to tell his side, because they’ll be kinder than other detectives. But Tom says that everyone knows his side. He’s surprised that the detectives might suspect him, but back in 1980, a few neighbors saw him working in his garage. No one saw him after 6:30 pm, though. So did he go somewhere and forget to tell the detectives? He says that he went back inside and had a drink. Wayne points out the hole in Julie’s wall that came out of Will’s closet- a peephole for spying. Then there’s the possibility that Julie isn’t even his, but Tom knows in his heart that Julie is his daughter. Roland asks if Tom gave Julie to someone to help him out of a situation. They press him hard and ask who he met in Devil’s Den, but Tom doesn’t know what they’re talking about. They can’t help if Tom doesn’t talk, but he starts to crack under the pressure. Wayne isn’t sure, though Kindt believes that Tom is guilty and that he may have colluded with Brett Woodard, or even planted the items at Woodard’s home. There’s no evidence for an arrest, but Kindt wants Tom held for the next 24 hours. Also, the officers will get a warrant to check his place. They still need to trace the call too. In 2015, Elisa Montgomery asks Wayne if the call was a major turning point for law enforcement in light of what happened. Wayne asks just what happened, and she asks what investigators did after the phone call. That was Julie, right? It came from a truck stop outside Russellville. A partial print was pulled off the print. From this, we jump back to Roland and Wayne arriving at said location in 1990. 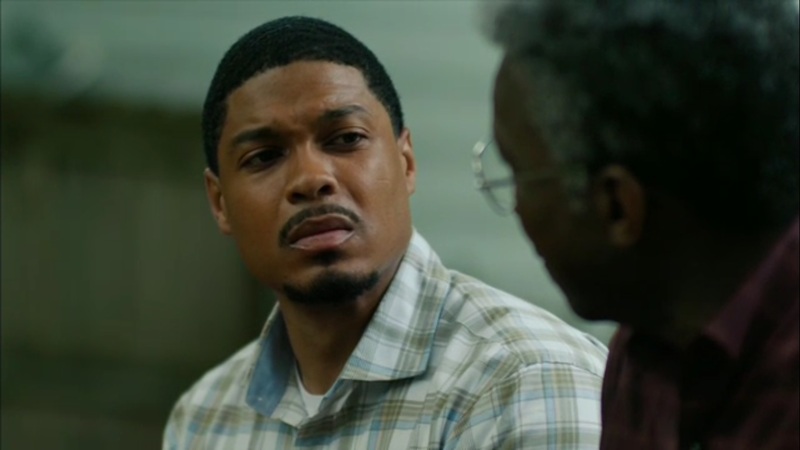 Then we jump to Wayne telling Amelia that he has to go back out for the case. She helps him with his tie, and she’s getting ready to head out. Turns out she’s working on a sequel on the current investigation, even though she wanted to work on a novel next. But the publisher wants this first, seeing it as an opportunity. The world can’t conform to Wayne Hays’ moral semantics, after all. 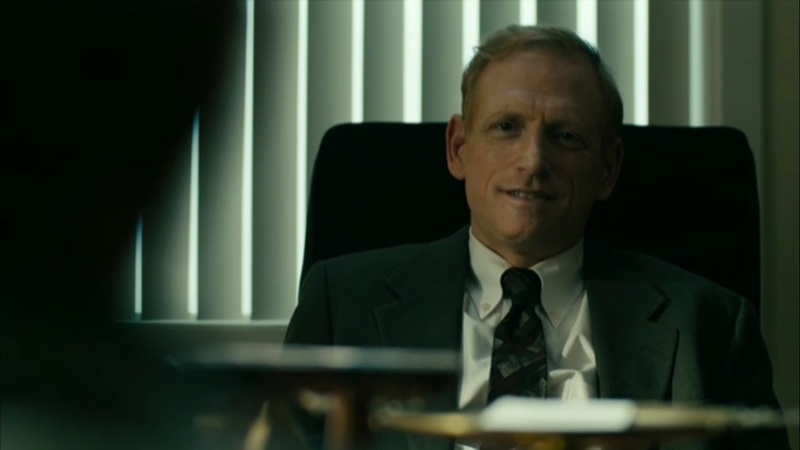 Plus, Wayne has a shot to go back to Major Crimes and make his own hours. If this works, Wayne will be home more, but Amelia figures that the job suits him better, running free. To Amelia, home feels like it suffocates Wayne, and he tells her that what she’s looking for out there, she’s not finding at home. Later, Wayne and Roland question a few folks, including Tom’s boss at his old factory job. Turns out Tom quit before the school bus factory closed, but he was on his way out before that since he was caught drinking on the job. Plus, some of the guys got on Tom’s case after they saw him going into a queer club. The two then visit Tom’s home and go through his items for any clues. Roland eventually finds a flier about how homosexuality can be cured. Well, that would explain what his boss said about Tom going into a queer club. On the road, the two go over this. While Devil’s Den is apparently a homo cruising spot, they don’t believe Tom would do something like that to his kids. Roland knows that the kids were out meeting someone in Devil’s Den. If Tom isn’t guilty, then they at least need to clear him. After that, though, they won’t stop- they’ll take it all the way. We jump a decade back to 1980 as Wayne looks over files from the Brett Woodard incident. He’s informed that he’s cleared on the shooting. Also, Roland’s leg is fine. Wayne is shown photos of the Will’s backpack and Julie’s shirt- both found at Woodard’s home. Wayne isn’t convinced, as he figures others had to be involved. However, the press is turning this into a sideshow. As far as the other detectives are concerned, between this “evidence” and the ransom note, Brett Woodard is guilty. Since Brett had some oil drums made into an incinerator, it’s possible that he burned Julie, based on evidence. The department’s official position is that Woodard murdered both children. Wayne is told to stick to the evidence. If this was Woodard, where is Julie? With the community needing time to heal, the officers will report that Woodard killed 10 people total. Hopefully, with this news, the community can begin to rebuild itself. Though the officers will need all of the evidence, Wayne points out that if Woodard killed Tom and Julie, then the number of dead should be 12, not 10. 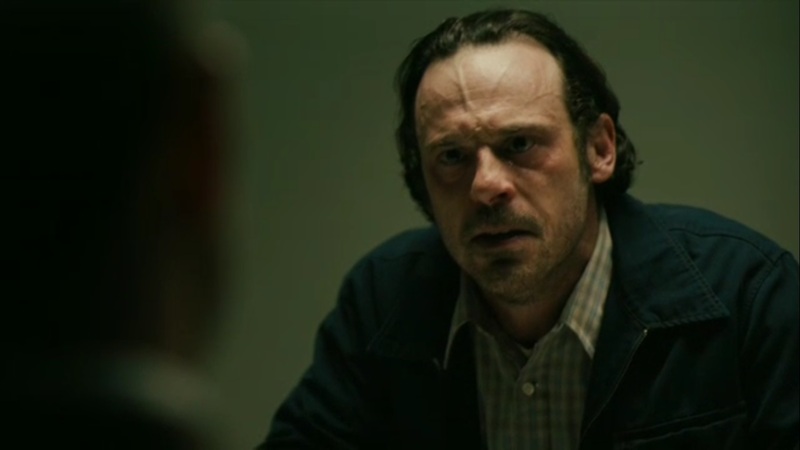 Then Elisa asks Wayne if Dan O’Brien’s remains being found could be connected at all to Tom. Between Tom, Dan, and Lucy, something was afoot. Wayne discusses the possibility that the evidence was planted perhaps by both Tom and Brett. 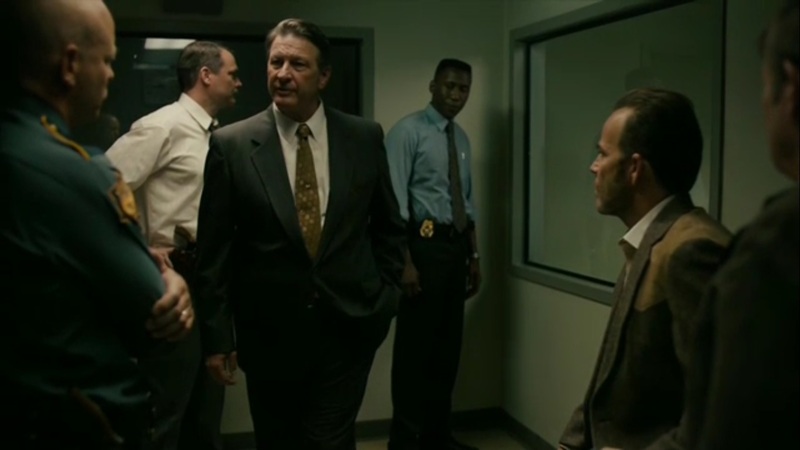 In 1990, Roland and Brett talk with the detective who found the backpack. But the one who made that claim, Harris James, left the force. Okay, so where is he now? 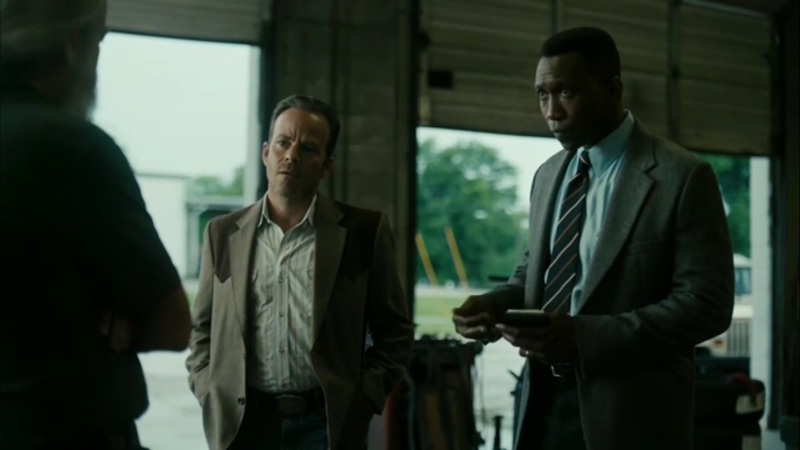 Wayne and Roland pay a visit to Hoyt Foods, where Detective Harris James, played by Scott Shepherd, is now the chief security officer. He worked at the plant for five years when he was a patrolman. James points out that he merely recognized the backpack, but why did it take two days to find it? 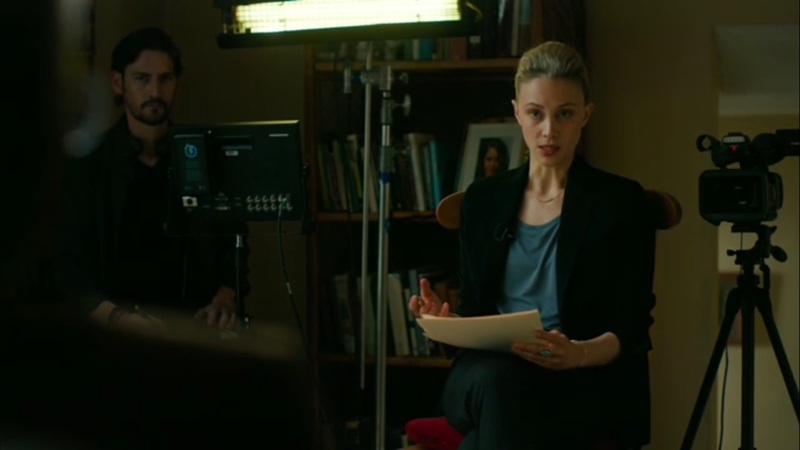 Roland shows James a photo of Tom Purcell, and he remembers seeing him across the street as the Woodard house was investigated. Wayne points out that Lucy Purcell used to work at Hoyt Foods, but James never saw her. Wayne then asks why James left Highway Patrol, but he doesn’t give a direct answer to the question. As for what this job involves, it’s about securing without compromise. He does miss his patrol days, eating donuts. Luckily, Wayne doesn’t eat donuts. With that, Wayne and Roland exit the plant. Back in 2015, Elisa brings up Harris James, who disappeared during the 1990 investigation. Between Brett Woodard, Lucy, Tom, and Dan, Elisa wonders if Harris James would wind up as well. Wayne grows angry, saying that she’s just speculating. Elisa asks about the number of fatalities in this case and whether he’s thought about the bodies piled up. Then, Wayne asks to stop for the day. Elisa clarifies, doesn’t the body count point to something? However, Henry cuts her off, saying that this interview is done for now. We jump back as Amelia speaks with Sister Alice, played by Silvia McClure, who doesn’t recognize the surveillance photo of Julie Purcell. Sister Alice brings Amelia inside where she can speak with some of the girls. Turns out that Julie left because things got shaky. One guy got some of the girls to trick. This girl dropped out a few weeks after “Mary Julie” did, and she also went by “Mary July” as well. She had many different names. Amelia asks if Mary Julie ever talked about herself, and she talked about being a queen in a pink castle. This girl believes that Mary Julie had no idea who she was, but just pretended. The girl suggests that if Amelia wants to write a book, write about what happens to the kids here. 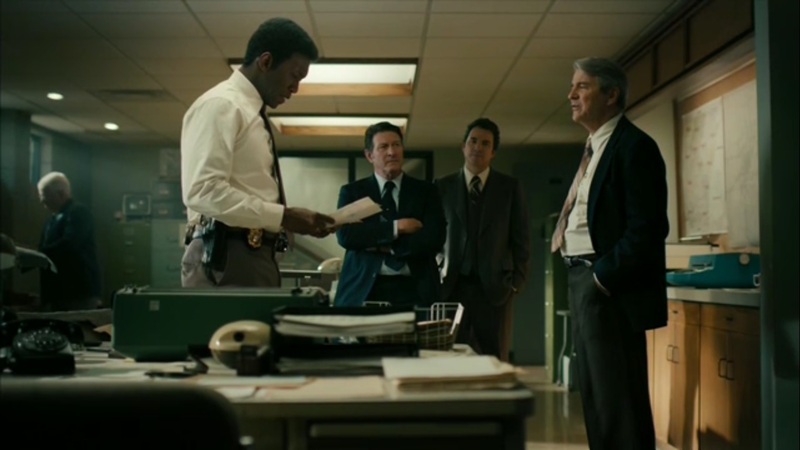 Elsewhere, Wayne and Roland receive a transmission- apparently someone called the hotline wanting to speak to Detective West, saying that he knows him. 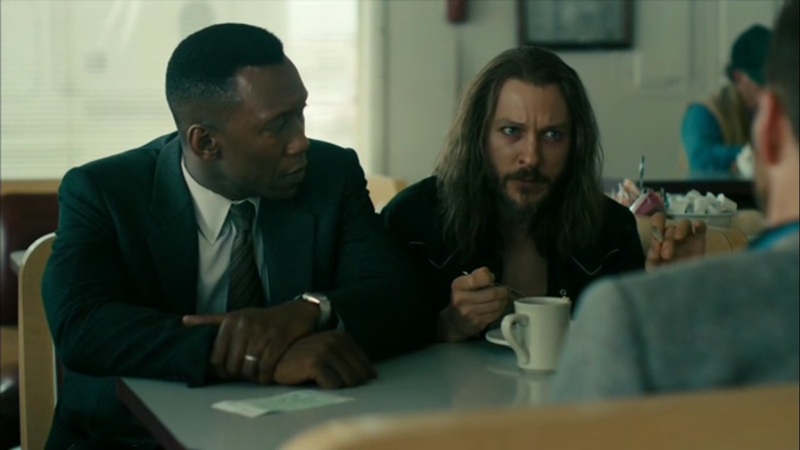 So the two head to a Waffle Hut and speak with the man who turns out to be Dan O’Brien. Dan wants $7000 for his information and won’t talk until he gets that money. Dan points out that Lucy moved in to live with him after her mother passed away. They shared a lot of milestones when growing up. Wayne wonders why they should believe him now compared to 1980, but Dan won’t talk if he’s going to be muscled around. Right now, there are people looking to make sure Wayne and Roland questions aren’t answered. The same people who want to make it look like Lucy overdosed. Dan says that Lucy had a problem of self-defeat. She would push until she got she wanted and then some. Dan isn’t looking to stick his neck for Tom, and he points out that there are other people looking for Julie. Before Dan can leave, Wayne keeps him in his place. Still, the clock is ticking, and the people looking for Julie have a head start on Tom. Also, if any cops follow him, the deal is off. He leaves, thanking the detectives for the breakfast. Apparently they’re going to foot his bill. Still, Wayne wants to get the records from Lucy’s hotel room before she died. Oh, and definitely keep an eye on Dan. 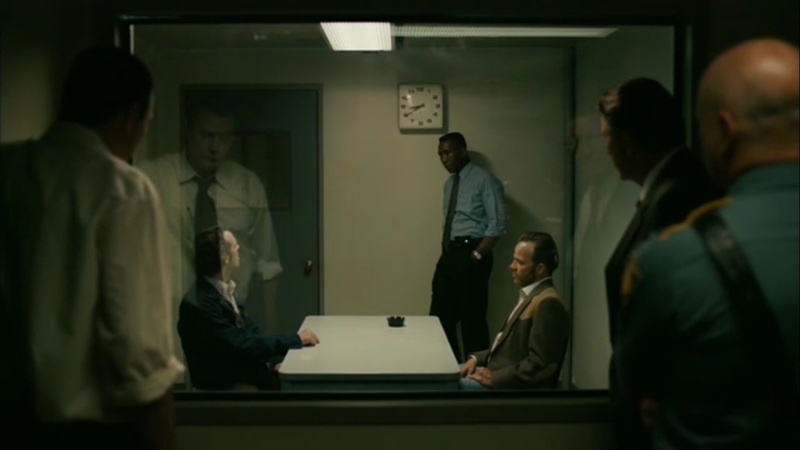 Tom is released from his cell and wants to see Roland, but he’s not at his desk. 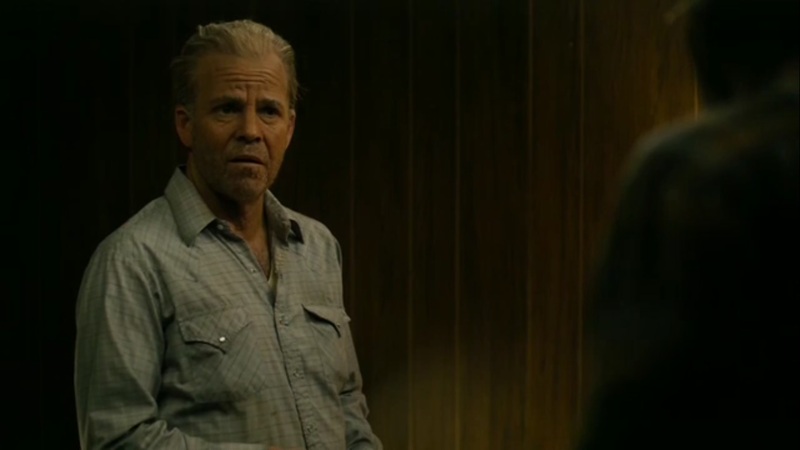 He heads upstairs and overhears detectives talking about Wayne and Roland meeting Dan O’Brien and wanting phone records. 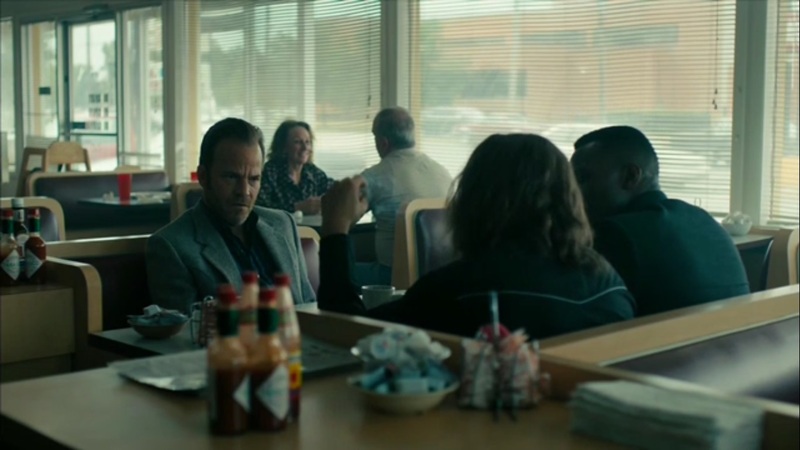 In 2015, Wayne overhears a heated argument between Henry and Elisa. Henry is surprised to see his father smoking again. 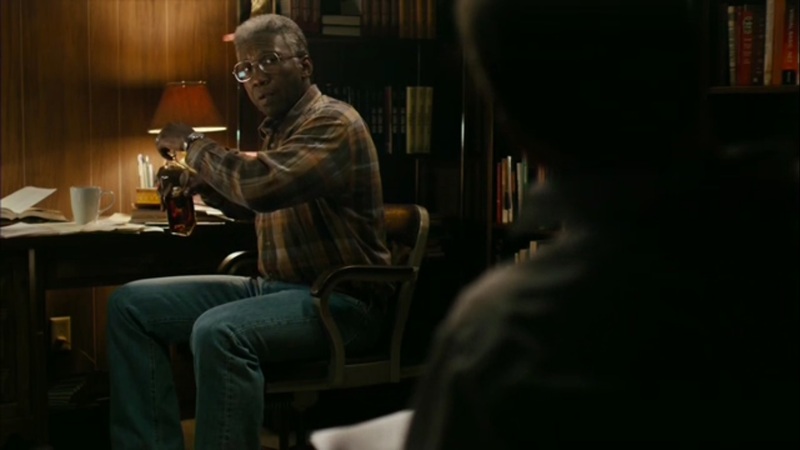 As Henry lights up, Wayne asks about Henry’s next move, and Henry is surprised to even know what will happen. Henry isn’t leaving Elisa, though, even though he’s ending the other thing. Nothing stays like it used to be, though. Wayne admits that he’s looked at himself a lot. He’s asking this question for him right now. He asks Henry if he taught him to withhold, but Henry doesn’t understand the question. Wayne didn’t intend that. He didn’t realize it as happening. 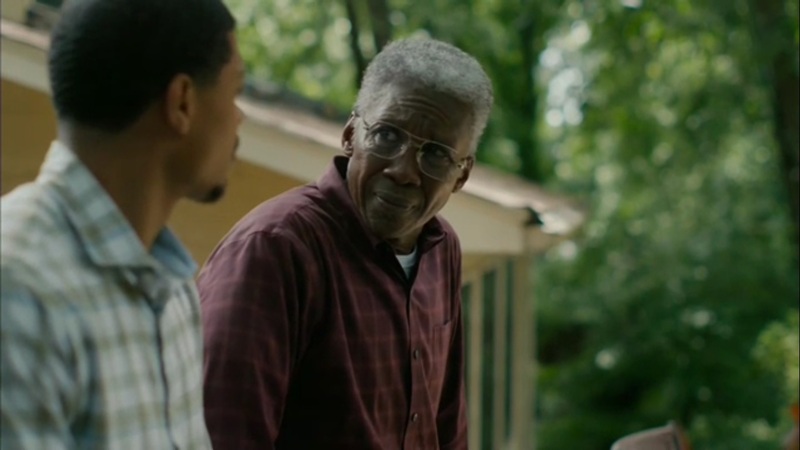 Henry asks his father what he’s planning, but then Wayne says that he used to never be afraid of anything. He did things that some would call brave, but he’s been terrified ever since Henry was born. You can’t shrink from the people you love or hold anything back. Then Henry decides to head in and make a phone call. 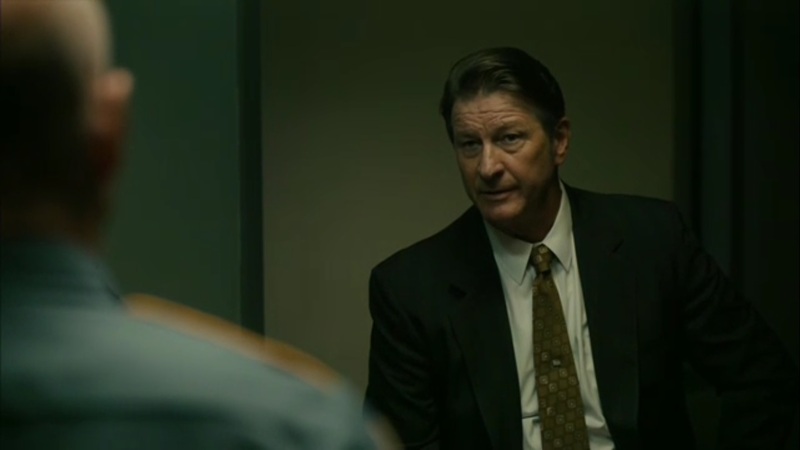 Back in 1980, Gerald Kindt tells the public, with Tom, Lucy, and Amelia in attendance, that new evidence suggests that Brett Woodard killed Will and Julie Purcell. Tom heads out in a rush while Kindt answers question from the audience. As Lucy leaves, a reporter asks her if justice has been done. Amelia intercepts the reporter and apologizes to Lucy for how they left things, but Lucy isn’t looking for an apology. Jump a decade ahead, Roland and Wayne try to figure out who planted the evidence and how they can clear Tom’s name. However, Roland decides to take Wayne home, but Wayne wants to keep working. 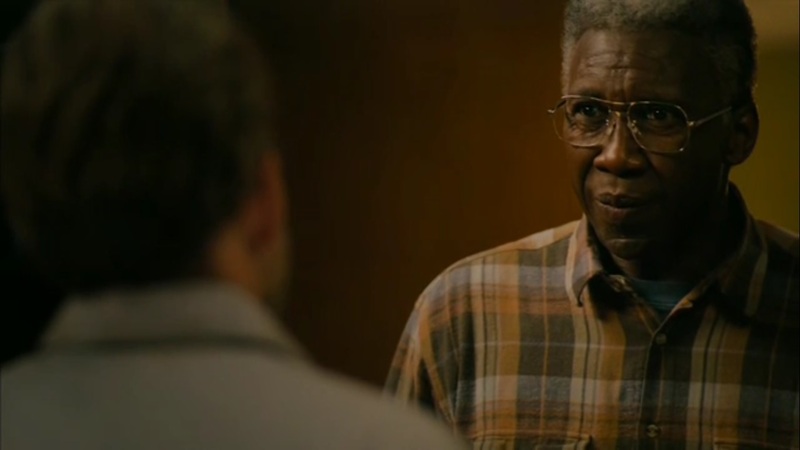 Roland tells Wayne that he doesn’t have to go home, but don’t focus on the job right now. This is what makes them different. 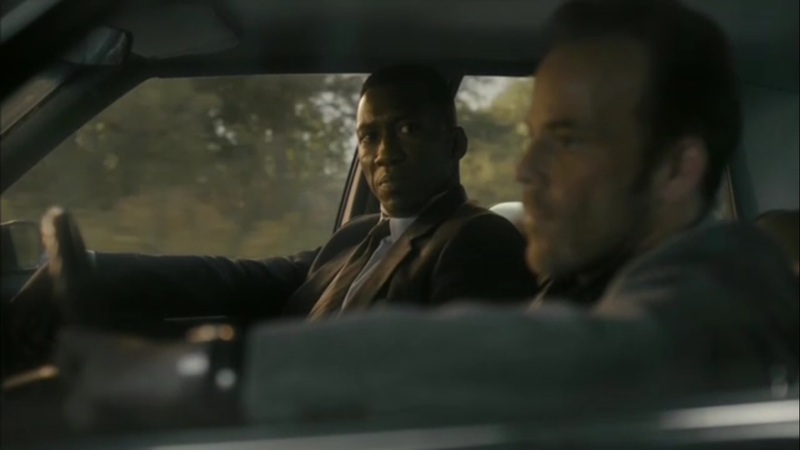 So Wayne tells Roland to pull over. When he doesn’t, he forces Roland over and he exits so he can continue working. As Wayne heads on foot, Roland heads off. 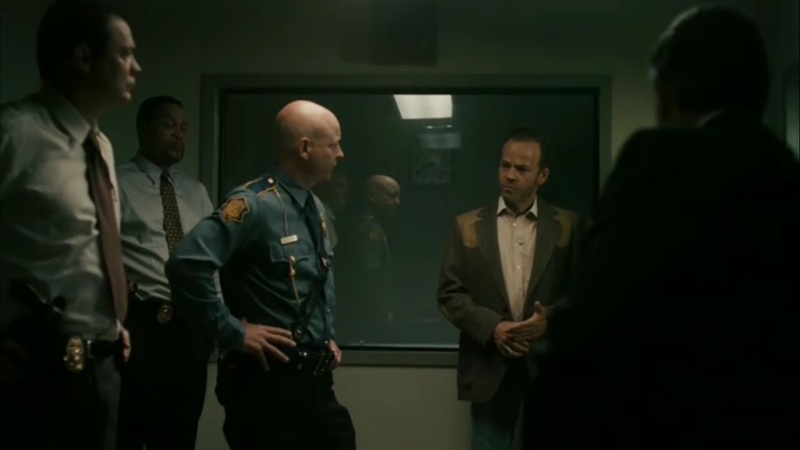 Tom pays a surprise visit to Dan O’Brien, who wants to know what he’s telling the cops. As Tom holds Dan at gunpoint, a fight breaks out with Tom managing to overtake Dan. Tom manages to retrieve his gun as he threatens to shoot Dan. He asks if Dan was spying on Julie, based on the peephole in Will’s room. Dan maintains that he doesn’t know anything. He wouldn’t do that to Julie. 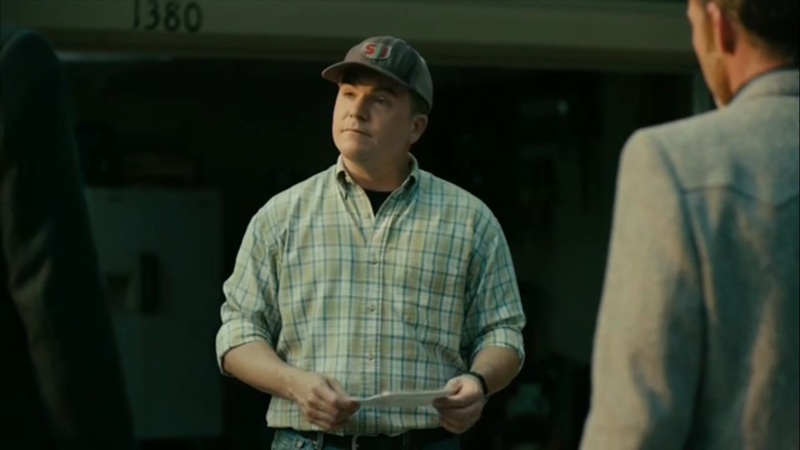 Tom demands to know where Julie is, but Dan points out that Tom should think about where Lucy got the money to run around. Dan knows who was paying Lucy- that’s all he planned to tell the cops: just a man’s name. Back to Wayne as he continues his solo investigation. He enters the Purcell home, now abandoned, and finds a hole in the wall. As he slips a piece of paper into the hole, it turns out that notes were being passed. He tells this to Roland in 2015 and brings up Elisa Montgomery’s questioning. Roland cautions Wayne about what he’s doing with this interview. Wayne has some names and questions, but as for what they’ll do next, that remains to be seen. 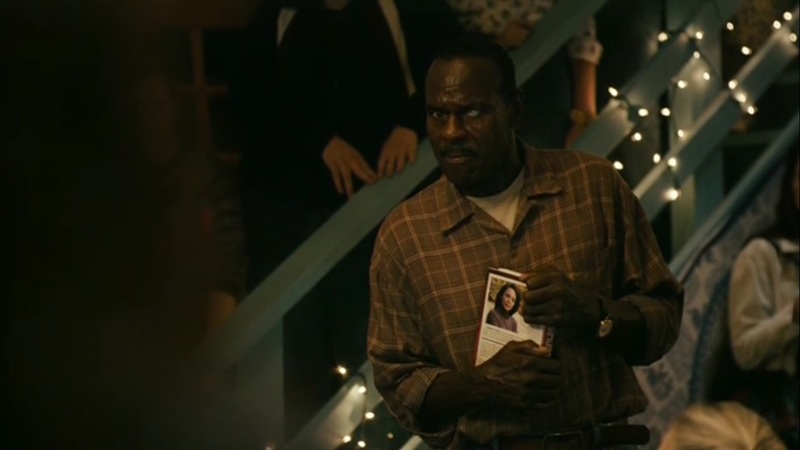 As Wayne heads to the bathroom, Roland looks through Amelia’s book. Wayne arrives, surprised to see Roland there and asks how he’s doing. 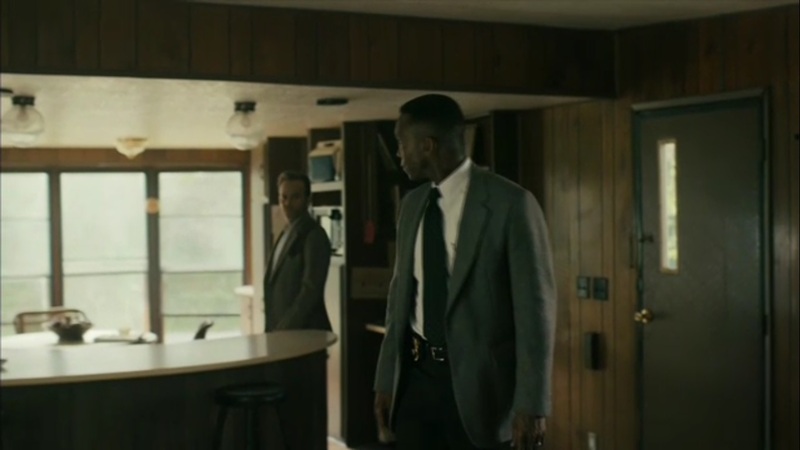 Wayne asks Roland to go to the window and see if there’s a dark Sedan down the street. 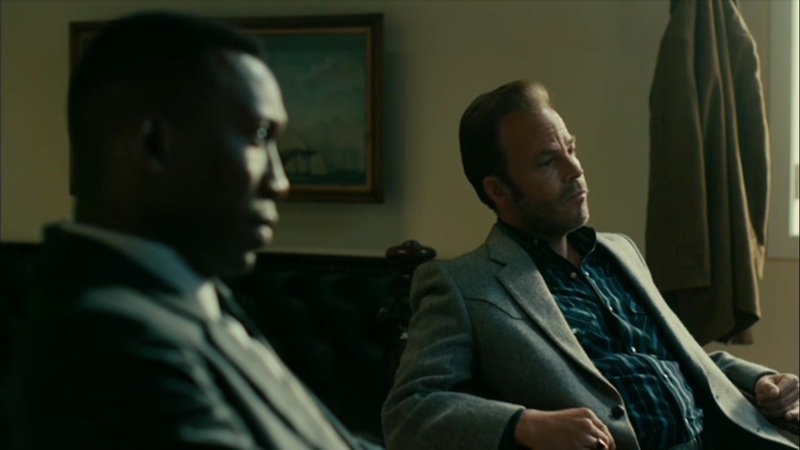 Roland looks through the blinds and tells Wayne that there’s nothing out there. 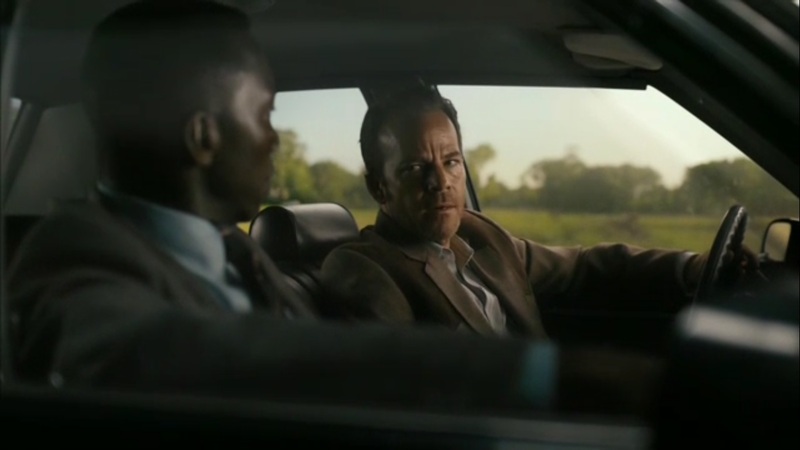 He asks Wayne if he’s been seeing a car, but Wayne again greets Roland like they’ve just met up again. And yes, Wayne can still remember that it’s 2015. 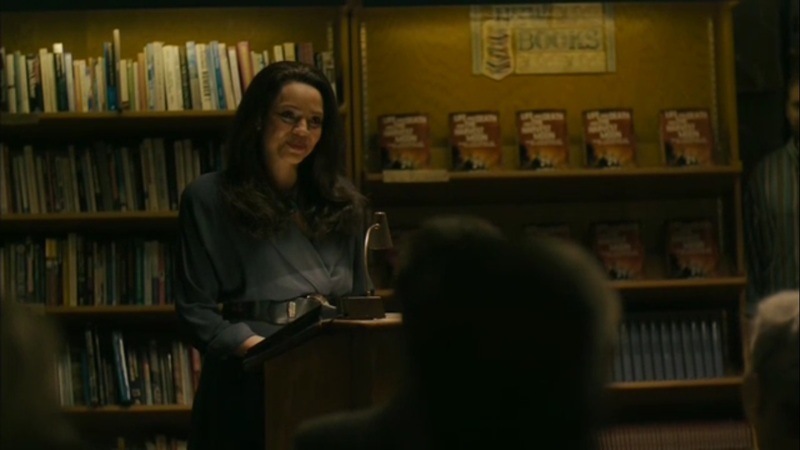 Back to 1990, as Amelia reads excerpts from her book at a bookstore to a crowded attendance. One person, an older Sam Whitehead, asks if Julie Purcell is indeed alive and what Amelia may know. While Amelia is just writing based on the new investigation, Sam persists, saying that Amelia is just making things up for a buck. He leaves the event in a huff. Following this, a slightly intoxicated Tom breaks his way into a home and begins exploring. He heads into the basement and enters a hallway. Deeper and deeper Tom goes until he arrives in a very very pink room. As he calls out Julie’s name, Harris James Tom from behind as the episode comes to a close. 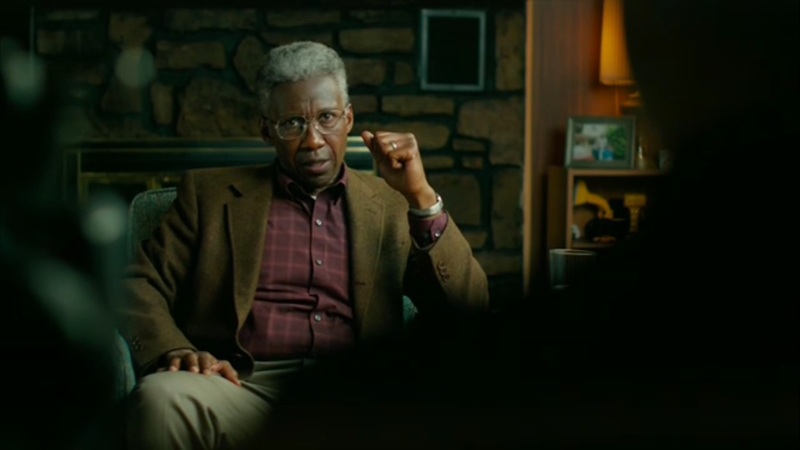 There are two episodes left with this season of True Detective and things are slowly coming together with the disappearance of Julie Purcell. Her sudden “re-emergence” has indeed created a major turning point not just for the case, but all parties involved, from the detectives to Tom Purcell to even Amelia. It’s another example of ghosts coming back to haunt you. Perhaps Wayne won’t be the only one who has everything to lose based on how the investigation unfolds. While Roland and Wayne want to explore every avenue and leave no stone unturned, the others higher up on the food chain just want this case closed, even if some of the evidence if mere speculation. 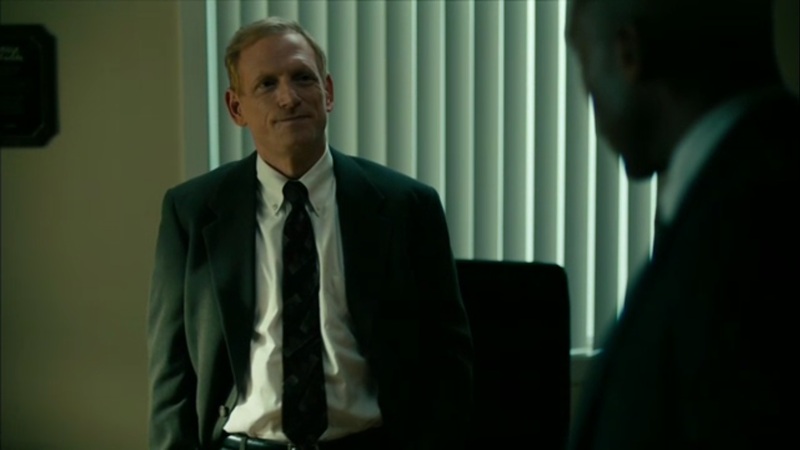 By the way, speaking of ghosts for a moment, I did appreciate the show having Sam Whitehead show up, if ever briefly, to show how the newfound interest in the Julie Purcell case would attract his attention- especially given his last confrontation with Wayne and Roland. It’s likely that Brett Woodard had nothing to do with what happened to Will and Julie, but Kindt is more interested in the community healing. More like the feds want this to be an open-and-shut case. Same with the theory that Tom colluded with Brett to plant the evidence, when there’s no indication just yet that the two have ever crossed paths. Does the truth matter? For the feds, probably not. After all, there’s plenty of reason to believe that the evidence was planted not by Tom or Brett, but someone else. Despite Wayne’s objections, he’s told to look at the “bigger” picture and focus on maybe getting a medal, even though he doesn’t care about the prestige- just the truth. But selling Brett as the murderer helps fit the detectives’ official narrative that they themselves helped start when they spoke to the press. It’s a show of how some, not all, officials try to sweep the truth under the rug and go with a version of the story that isn’t the truth, but would be accepted by the public because it’s palatable. Right now, the small town would be desperate for any version that sounds right. Combined with the distaste they showed Brett Woodard and you’ve got a portrait that paints Brett as the only logical candidate for Purcell case. Same with Tom. He’s supposedly reformed, but what if that was all a front to hide something more sinister? Julie says that she knows what Tom did, but she does not elaborate. That doesn’t matter to the detectives who are looking to wrap up things as quickly as possible. Not Roland and Wayne, though. Both continue to maintain Tom’s innocence, even when they learn about things like his closeted homosexuality. They don’t believe he would bring harm to Will or Julie, but for the sake of leaving no stone unturned, they do have to consider every possibility. Where Wayne takes it a bit too far in the eyes of Amelia and Roland is his nonstop devotion to the case. 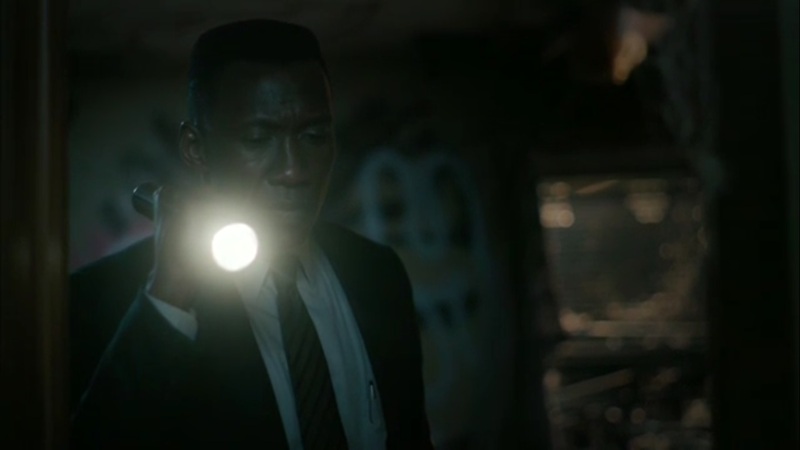 His skills as a detective are to be admired, yes, but when he’s pulling over Roland’s car and walking alone, you see how obsessed he is with work. His home life is practically his home away from home with it, like Amelia says, suffocating him. Still, credit where it’s due, as was pointed out in the premiere, Wayne has an eye for details. 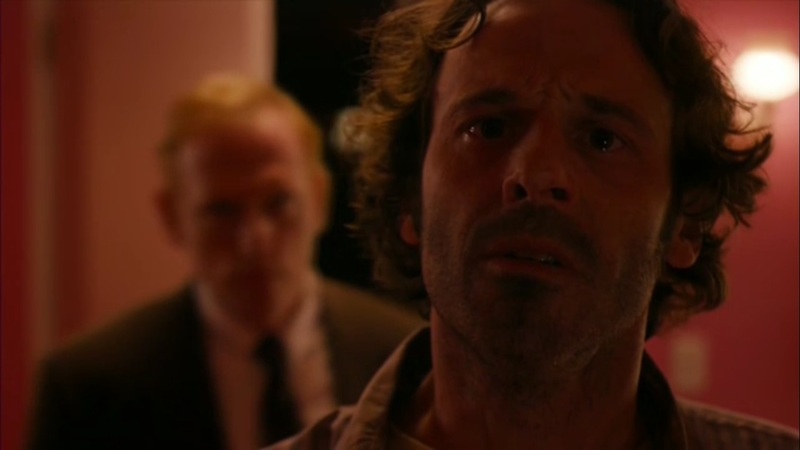 It’s because of his solo work that he found Will’s body in the first place, and what brought him back to the peephole in this episode. Whether you agree with his methods is up to you, but hey, he gets results, no matter how much of a hardass he can be. Once he’s older and had more time to think things through, though, does he learn about the dangers of holding back. Not that Wayne ever held back when arguing with Amelia, but you could tell he wasn’t being completely open. He has an opportunity to be more transparent with Henry in a great scene. 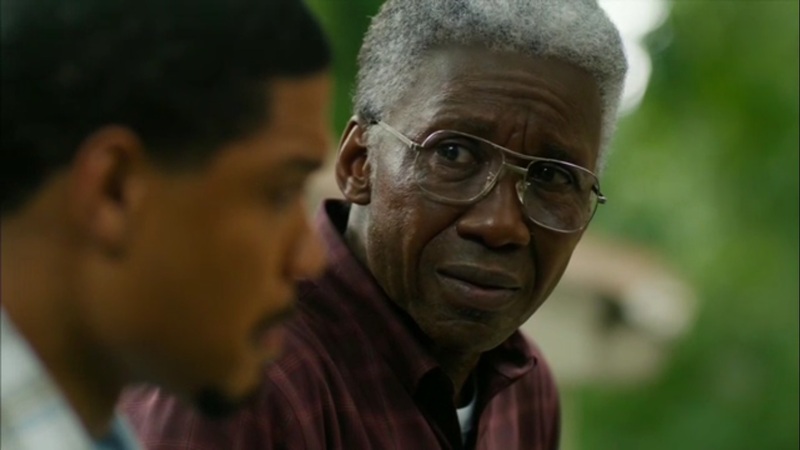 While Ray Fisher is confined to the 2015 moments, he’s great with Mahershala Ali as a son who is protective of his father, but who also knows that Wayne is, in some ways, able to handle himself. Wayne’s memory isn’t all there, but he’s not mush just yet. Also, it was nice to learn that Henry indeed is in a thing with Elisa Montgomery. That would explain the tone that the two have had during the interviews. Just as the call was a turning point for the detectives, it also helped shine a light on the Purcells. We don’t get a ton of Lucy in this episode, but through her brief appearance and Dan’s conversation we learn more about her tragic upbringing. She’d repented for her behavior, but it seemed that she could never get her life fully back together, as Tom had managed to do. But there are cracks in his life, too. Tom continues to maintain not just his innocence, but the belief that Julie is his daughter. Okay, so he’s a concerned father. What about his personal life? The homosexuality bit would show, at least as far as 1990 is concerned, that he still wants to keep parts of his life a secret. But that would beg the question, from the detectives’ perspectives, of what else he might be hiding. But like Wayne, Tom is proactive in his work. He confronts Dan and manages to find the pink room. I was surprised to see him locate this place first before the detectives, but by episode’s end, we see that he himself may be in trouble. Harris James is definitely a shifty sort. He didn’t give that many straight answers in his interview, but I guess him being a former officer of the law would absolve him of any possible involvement. As we see by the end of the episode, that is not the case. So what could his involvement have been? 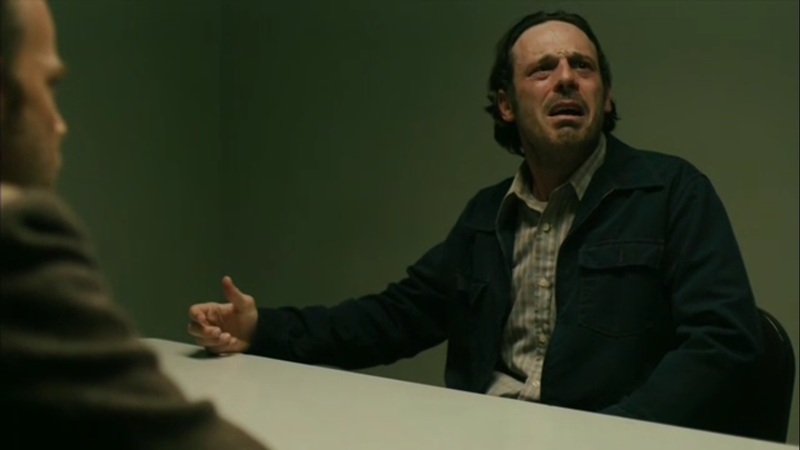 Only two more episodes remain in this season of True Detective. What will the detectives uncover next? How will the interviews with Elisa Montgomery proceed? What happens to Tom now that Harris James has found him in the pink room? We’ll see what happens in episode seven. See you next week. 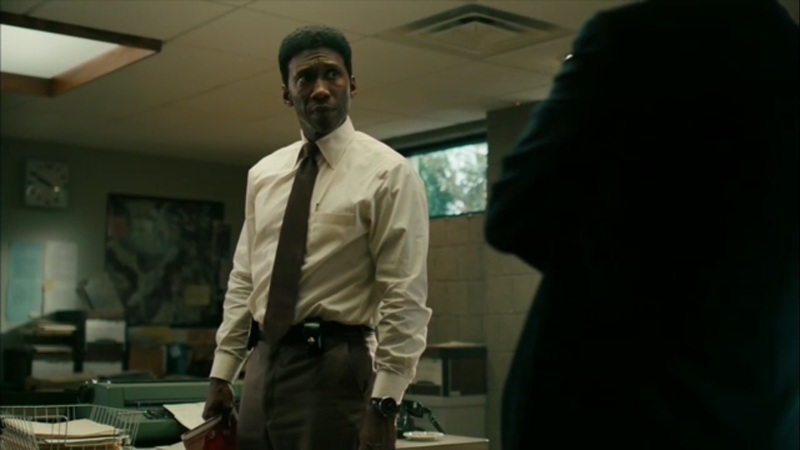 This entry was posted in True Detective and tagged Amelia Reardon, Billy, Brett Cullen, Carmen Ejogo, Dan O’Brien, Daniel Sackheim, Deborah Ayorinde, Elisa Montgomery, Gerald Kindt, Graham Gordy, Harris James, HBO, Henry Hays, John Earl Jelks, Junius, Lindsay Musil, Lucy Purcell, Mahershala Ali, Mamie Gummer, Matthew Cornwell, Michael Graziadei, Mike Ardoin, Nathan Wetherington, Nic Pizzolatto, Ray Fisher, Roland West, Sarah Gadon, Scott Shepherd, Shelly, Silvia McClure, Stephen Dorff, Steven Williams, True Detective, Wayne Hays by omarid513. Bookmark the permalink.